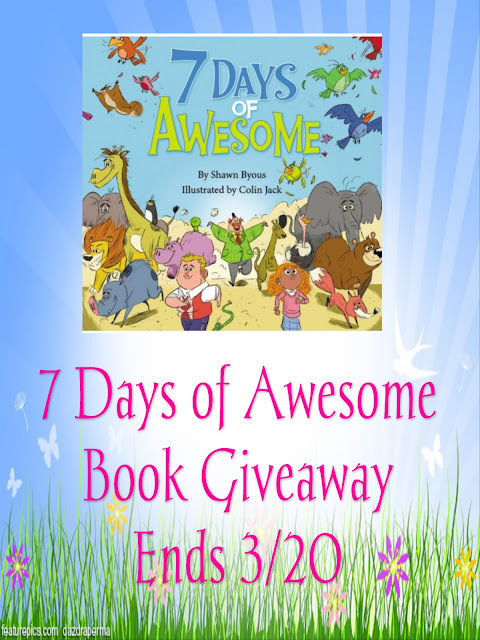 7 Days of Awesome A Creation Tale by Shawn Byous and Illustrated by Colin Jack is an adorable book that is perfect for reading out loud. The author takes on The Book of Creation in the bible in the cutest, child friendly way. Using two children and a man they walk through the first 7 days of creation. 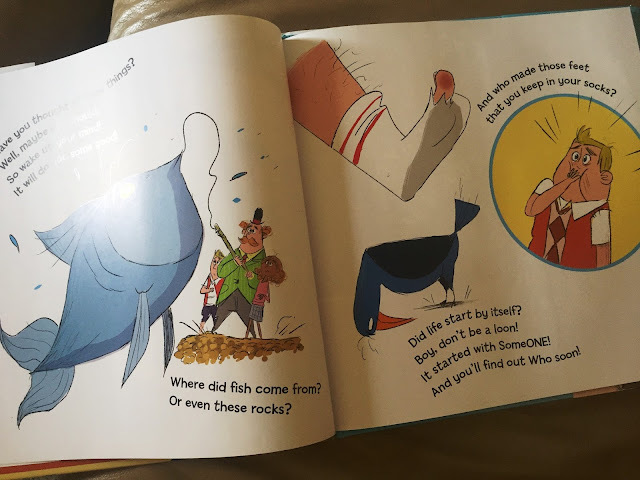 They ask the man where he came from, where they came from, the monkeys, bears and even the feet in your socks. 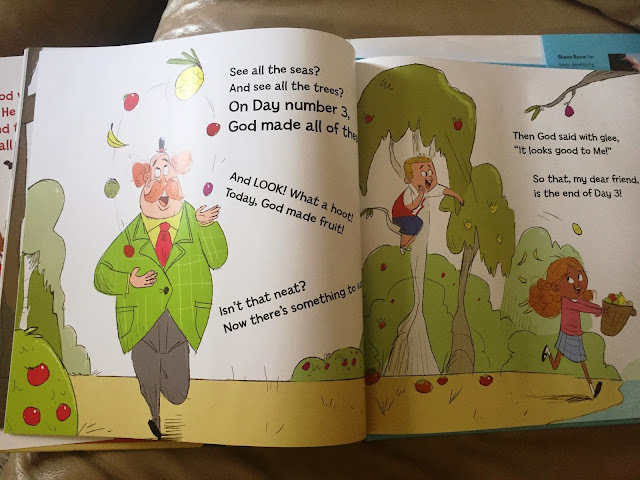 The man goes on to explain that God made everything in 7 days. I thoroughly enjoyed the Dr. Seuss style that entertains and explains along with fun characters and graphics.